International Journal of Current Research and Review. 2015; 7(8): 63-66.
International Journal of Current Research and Review. 2016; 8(19): 17-20. Pakistan Armed Forces Medical Journal. 2015; 65(5): 679-681.
International Journal of Current Research and Review. 2016; 8(6): 05-11.
International Journal of Research in Medical Sciences. 2016; 4(2): 428-435. Pakistan Armed Forces Medical Journal. 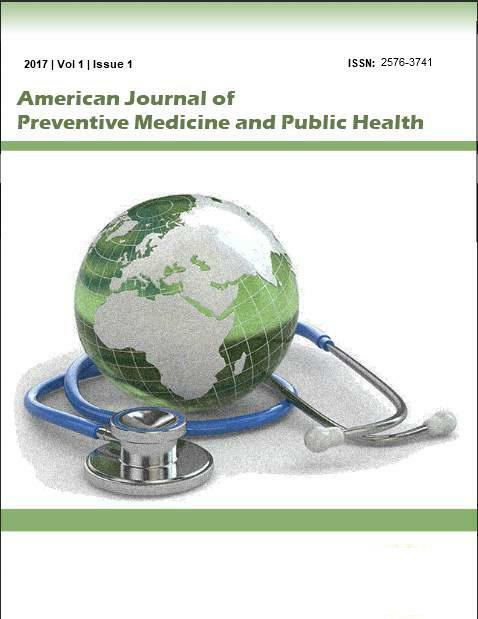 2015; 65(6): 773-776.
International Journal of Medical Science and Public Health. 2013; 2(3): 489-494.
International Journal of Current Research and Review. 2013; 5(16): 43-46. Significance of Intercanthal Distance in the Selection of Width of Maxillary Anterior Teeth Size in Kashmiri Population: A Research. International Journal of Health Sciences and Research (IJHSR). 2015; 5(2): 213-216.
International Journal of Research in Medical Sciences. 2014; 2(2): 472-475. Syed Shuja Qadri, SK Ahluwalia, Abdul Majid Ganai, shalender paul Singh bali,Feroz Ahmad Wani, Humaira Bashir. International Journal of Medical Science and Public Health. 2013; 2(3): 514-522. Histopathological study of renal tumors in resected nephrectomy specimens-An experience from teritary care centre. National Journal of Medical Research. 2015; 5(1): 25-29. Journal of Riphah College of Rehabilitaion Sciences. 2015; 3(1): 8-11. Journal of Liaquat University of Medical & Health Sciences. 2010; 9(3): 125-129. Pakistan Armed Forces Medical Journal. 2016; 66(2): 290-293. Journal of Riphah College of Rehabilitaion Sciences. 2013; 1(1): 37-40. To Determine the Association of Anthropometric Measurements and Lipid Profile with Sagittal Abdominal Diameter in Type 2 Diabetes Mellitus. International Journal of Health Sciences and Research (IJHSR). 2016; 6(2): 142-147. Journal of Riphah College of Rehabilitaion Sciences. 2014; 2(1): 3-7. Journal of Liaquat University of Medical & Health Sciences. 2016; 15(2): 78-82. Journal of Liaquat University of Medical & Health Sciences. 2016; 15(1): 16-20. Journal of Liaquat University of Medical & Health Sciences. 2015; 14(2): 83-85. Journal of Environmental and Occupational Science. 2014; 3(1): 21-24. Journal of Riphah College of Rehabilitaion Sciences. 2017; 5(2): 53-57.
International Journal of Current Research and Review. 2012; 4(23): 88-94. Journal of Liaquat University of Medical & Health Sciences. 2013; 12(3): 161-166. Journal of Riphah College of Rehabilitaion Sciences. 2016; 4(1): 18-21. Pakistan Armed Forces Medical Journal. 2016; 66(5): 651-656. Pakistan Armed Forces Medical Journal. 2016; 66(3): 428-434. Journal of Liaquat University of Medical & Health Sciences. 2006; 5(3): 106-109. Rawal Medical Journal. 2009; 34(2): 187-190. Journal of Riphah College of Rehabilitaion Sciences. 2015; 3(2): 85-90. Journal of Liaquat University of Medical & Health Sciences. 2008; 7(2): 71-74. Rawal Medical Journal. 2012; 37(2): 168-171. Veterinary World. 2008; 1(6): 165-167.
International Journal of Medical Research & Health Sciences. 2014; 3(4): 1022-1024. Journal of Liaquat University of Medical & Health Sciences. 2016; 15(1): 40-45. Asian Journal of Medical and Biological Research. 2018; 4(1): 14-20. Pakistan Armed Forces Medical Journal. 2016; 66(4): 485-489. Journal of Riphah College of Rehabilitaion Sciences. 2014; 2(1): 18-24. Journal of Liaquat University of Medical & Health Sciences. 2014; 13(1): 03-08. CIRCUMCISION BY BONE CUTTER-IS IT SAFE? Pakistan Armed Forces Medical Journal. 2015; 65(6): 748-750.
International Journal of Livestock Research. 2014; 4(2): 18-26. Journal of Riphah College of Rehabilitaion Sciences. 2015; 3(2): 95-98. K.Altaf Hussain Talpur, Seema Bashir Kalyar. Journal of Liaquat University of Medical & Health Sciences. 2004; 3(2): 82-83. Rawal Medical Journal. 2005; 30(2): 96-97. Pakistan Armed Forces Medical Journal. 2016; 66(4): 460-464. Journal of Islamic International Medical College. 2017; 12(3): 148-152.
International Journal of Medical Research & Health Sciences. 2014; 3(2): 471-473. Journal of Riphah College of Rehabilitaion Sciences. 2013; 1(2): 36-39. Journal of Riphah College of Rehabilitaion Sciences. 2016; 4(2): 81-85. Journal of Riphah College of Rehabilitaion Sciences. 2015; 3(2): 99-103. Journal of Riphah College of Rehabilitaion Sciences. 2017; 5(2): 85-88. Journal of Riphah College of Rehabilitaion Sciences. 2018; 6(1): 47-50. Journal of Riphah College of Rehabilitaion Sciences. 2015; 3(1): 22-25. Pakistan Armed Forces Medical Journal. 2016; 66(3): 407-413. Oxidants and Antioxidants in Medical Science. 2013; 2(2): 73-82. Journal of Riphah College of Rehabilitaion Sciences. 2016; 4(1): 11-14.
International Journal of Current Research and Review. 2015; 7(7): 51-56. Nasal Stent Fabrication for Post Traumatic Unilateral Nasal Stenosis Patient: A Simplified Technique. International Journal of Health Sciences and Research (IJHSR). 2014; 4(2): 191-194.
International Journal of Current Research and Review. 2014; 6(15): 53-56. Pakistan Armed Forces Medical Journal. 2015; 65(6): 731-734. Journal of Liaquat University of Medical & Health Sciences. 2009; 8(1): 46-49.
International Journal of Livestock Research. 2018; 8(8): 254-266. Journal of Liaquat University of Medical & Health Sciences. 2012; 11(1): 15-18.
International Journal of Current Research and Review. 2015; 7(22): 01-07. TREATMENT OF ACUTE MOUNTAIN SICKNESS: IS THE COMBINATION OF ACETAZOLAMIDE AND DEXAMETHASONE BETTER THAN ACETAZOLAMIDE ALONE? Pakistan Armed Forces Medical Journal. 2016; 66(0): S41-S45. International Journal of Basic & Clinical Pharmacology. 2016; 5(4): 1477-1480. Journal of Liaquat University of Medical & Health Sciences. 2016; 15(2): 83-89. Journal of Riphah College of Rehabilitaion Sciences. 2018; 6(1): 29-32. Sleep habits of first year and final year medical student. Rawal Medical Journal. 2012; 37(2): 148-151. Journal of Liaquat University of Medical & Health Sciences. 2013; 12(3): 156-160. Emirates Journal of Food and Agriculture. 1999; 11(1): 41-58. Rawal Medical Journal. 2008; 33(1): 89-91. Guyon’s Canal Syndrome in a Professional Bicyclist: a Case Report and Brief Review of Literature. International Journal of Health Sciences and Research (IJHSR). 2014; 4(11): 286-290. Pakistan Armed Forces Medical Journal. 2016; 66(3): 390-394.
International Journal of Medical Science and Public Health. 2013; 2(3): 679-686. Journal of Liaquat University of Medical & Health Sciences. 2011; 10(3): 163-167. Correlation between High Resolution Ultrasonography and MRI in Rotator Cuff Tear Diagnosis. International Journal of Health Sciences and Research (IJHSR). 2014; 4(8): 103-112.
International Journal of Current Research and Review. 2017; 9(6): 44-49. Journal of Liaquat University of Medical & Health Sciences. 2009; 8(2): 150-152. Pakistan Armed Forces Medical Journal. 2015; 65(4): 478-481. Veterinary World. 2011; 4(11): 503-506.
International Journal of Basic & Clinical Pharmacology. 2015; 4(5): 1013-1015. Bashir B. M., Yeldu M. H.
International Journal of Research in Medical Sciences. 2016; 4(11): 4911-4915. Link between Psychiatric and Autoimmune Thyroid Disorder. International Journal of Health Sciences and Research (IJHSR). 2013; 3(2): 30-37. Psychiatric Aspects of Diabetes Mellitus - A Hospital Based Study. International Journal of Health Sciences and Research (IJHSR). 2013; 3(4): 70-79.
International Journal of Medical and Pharmaceutical Sciences. 2013; 3(7): 18-25.
International Journal of Research in Medical Sciences. 2014; 2(1): 293-299. Pakistan Armed Forces Medical Journal. 2016; 66(3): 418-422. Rawal Medical Journal. 2014; 39(4): 369-371. Rawal Medical Journal. 2012; 37(2): 142-147. Rawal Medical Journal. 2014; 39(1): 39-41.
International Journal of Research in Medical Sciences. 2014; 2(3): 1188-1190.